This gorgeous and grand temple was built by Sri Hathee Singh, who was a rich Jain merchant and dedicated the temple to Dharmnath who is the 15th Tirthankara of Jains. 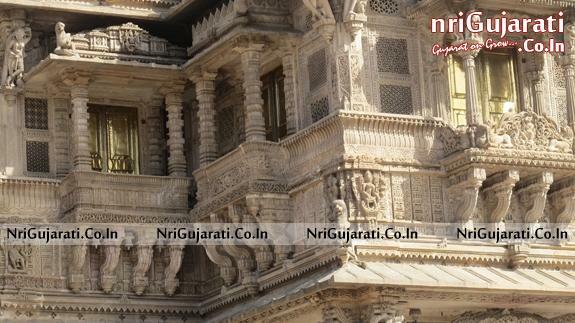 The temple is known for its grandeur and it is in fact completely made up of white marble. 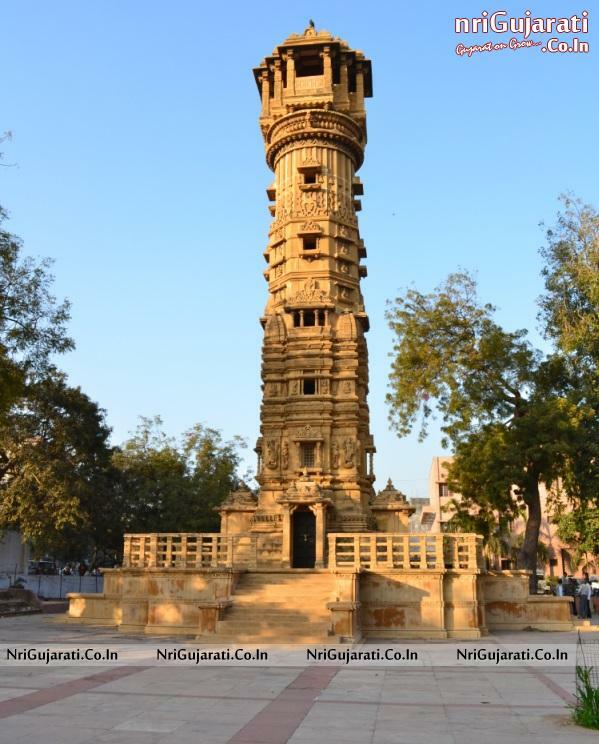 The temple is situated at the Delhi Gate in Ahmedabad and is one of the most revered placed to visit especially for the Jain community. The temple was built in the year 1850 and has amazing work done on the marbles. All these marbles are said to have been bought from Rajasthan. The temple is famous for its intricate carving and detailed figurines. 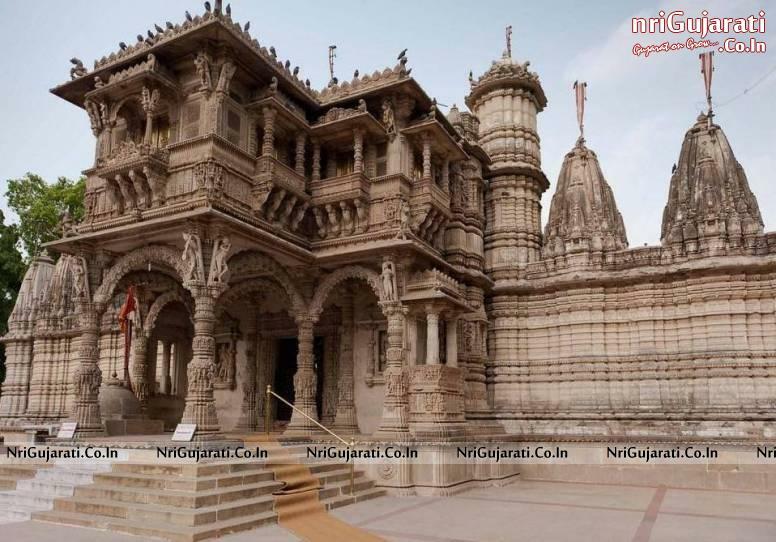 The temple has been made in a painstaking manner and is extremely huge in terms of its area. The temple can accommodate around 3000 people and is 350 feet high. The temple is two storied in structure. It is said that the idols of the Jain Tirthankara on the occasion of his birthday, is decorated with ornaments made out of brilliant stones which are precious in nature. Thousands of devotees tend to throng the place for a glimpse as well. 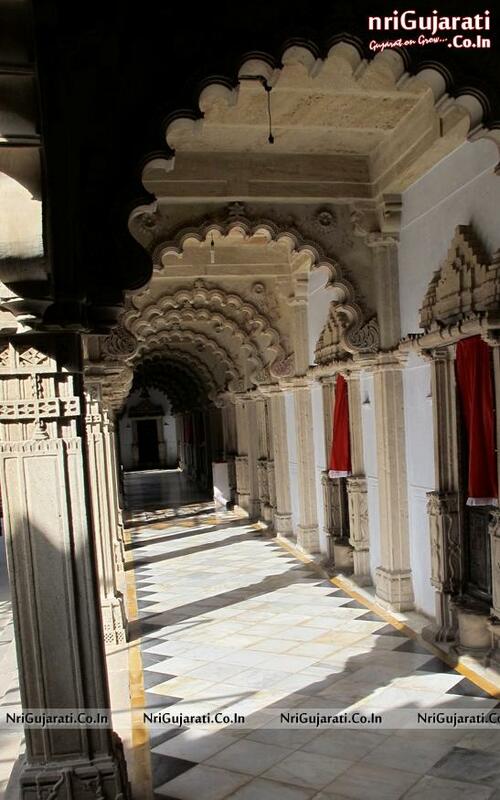 Apart from the main shrine, the courtyard consists of many pergolas in a row, which is made around the courtyard. There are 52 shrines other than the main one, and are dedicated to each Tirthankara of the Jains. It consists of exquisite carvings. 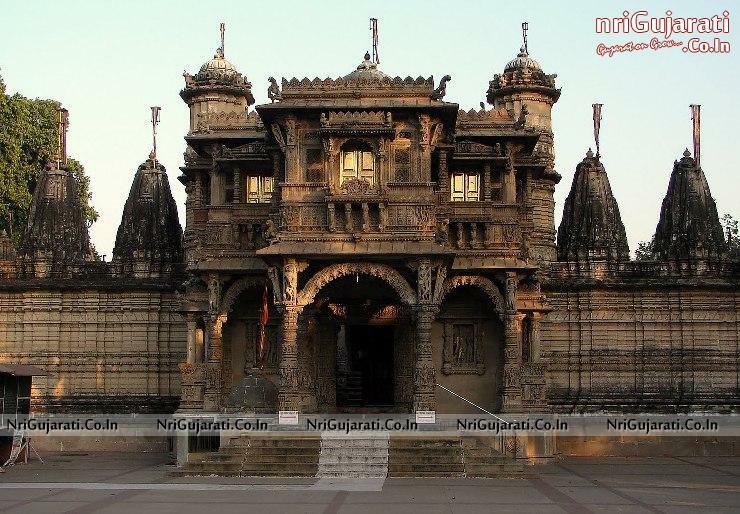 The temple is known to have been constructed keeping in mind the architectural pattern of Dilwara Jain Temples of Rajasthan.